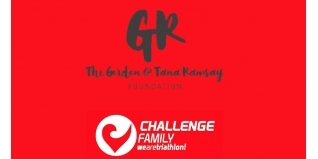 CHALLENGEFAMILY, organisor of fifty long distance triathlon events across the globe, has today announced a new partnership with the Gordon and Tana Ramsay Foundation, which sees the foundation appointed as an official worldwide partner of CHALLENGEFAMILY. Gordon and Tana are both keen triathletes and this CHALLENGEFAMILY partnership is a vehicle to continue the work of the Gordon and Tana Ramsay Foundation as well as participate in some of the iconic CHALLENGEFAMILY races across the globe. “We are thrilled to be partnering with Gordon, Tana and the team at the Gordon and Tana Ramsay Foundation. The work they do with the Great Ormond Street Hospital Children’s Charity is extraordinary and we are honoured to be able to play a small part in the contribution that the foundation makes, said Zibi Szlufcik, CEO of CHALLENGEFAMILY. The Gordon and Tana Ramsay Foundation raises funds for the Great Ormond Street Hospital Children’s Charity, a cause which is close to the hearts of the Ramsay family, with funds raised being directed towards providing world-class care for young patients and their families, pioneer new treatments, and the provision of cutting edge equipment and state-of-the art facilities. Gordon Ramsay, world renowned through his restaurants and television shows and wife Tana recently prepared a short video to announce the partnership between the Gordon and Tana Ramsay Foundation and CHALLENGEFAMILY. In 2017, CHALLENGEFAMILY participants will be able to raise funds for the Gordon and Tana Ramsay Foundation through their event participation or make donations as part of their event registration fee. More details about fundraising opportunities will be made available in the coming months.